In 1891 John Houlding, the leaseholder of Anfield Stadium, purchased the ground outright and proposed increasing the rent from £100 to £250 per year. Everton, who had played at Anfield in Liverpool for seven years, refused to meet his demands and moved to Goodison Park. Houlding, now established a new club called Everton Athletic to play at Anfield. The Football Association refused to accept the name Everton Athletic and so it was changed to Liverpool Football Club. Liverpool immediately applied to join the Football League. This was rejected and so Liverpool joined the Lancashire League instead. John McKenna, became manager of the club and he recruited several players from Scotland including Tom Wylie, Andrew Hannah, Duncan McLean and John McBride. In their first season Liverpool won the Lancashire League, and were elected to the Football League Second Division for the 1893–94 season. 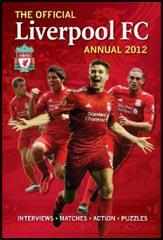 Liverpool had a great first season going unbeaten and winning the championship by eight points. The star of the team was Tom Bradshaw, who later went on to play for England. In 1894 Jimmy Ross joined Liverpool and over the next two seasons the man they called the "Little Demon" scored 37 goals in 73 games. Liverpool drew their first two games in the 1894-95 season. They were beaten by Aston Villa 2-0 (goals scored by Robert Chatt and Stephen Smith) on 8th September 1894. This was Liverpool's first defeat in 31 Football League games. The rest of the season did not go well and Liverpool finished in 16th place in the First Division and was relegated. However, they did beat Everton in the final of the Liverpool Cup. Liverpool purchased George Allan from Leith Athletic for £100 in September, 1895. Three months later they signed Harry Storer from Woolwich Arsenal. Storer made his debut against Manchester City on 1st January 1896. He kept his place for the remaining 11 games and helped the club win promotion to the First Division. Allan scored 25 goals in the league plus three vital ones in the end-of-season Test matches. Jimmy Ross, Tom Bradshaw and Charlie Satterthwaite also contributed a lot of valuable goals that season. Once again Liverpool was in the First Division. In a match against Sheffield United, Liverpool's top scorer, George Allan was involved in a famous incident with William Foulke. According to the Liverpool Daily Post: "Allan charged Foulke in the goalmouth, and the big man, losing his temper, seized him by the leg and turned him upside down." After he retired from football William Foulke gave a different version of the incident when he was interviewed by the London Evening News 18 years later: "You may have heard that there was a very great rivalry between the old Liverpool centre forward Allan and myself, that prior to one match we breathed fire and slaughter at each other, that at last he made a rush at me as I was saving a shot, and that I dropped the ball, caught him by the middle, turned him clean over in a twinkling, and stood him on his head, giving him such a shock that he never played again. Well, the story is one which might be described as a "bit of each". In reality, Allan and I were quite good friends off the field... What actually happened on the occasion referred to was that Allan (a big strong chap, mind you) once bore down on me with all his weight when I was saving. I bent forward to protect myself, and Allan, striking my shoulder, flew right over me and fell heavily. He had a shaking up, I admit, but quite the worst thing about the whole business was that the referee gave a penalty against us and it cost Sheffield United the match." George Allan was again Liverpool's top scorer in the 1896-97 season. Allan was then sold to Celtic for £50 in May 1897. However, after winning the Scottish League title with his new club, Allan returned to Liverpool. Allan scored another twelve goals for Liverpool before being forced to retire from professional football as a result of poor health. At the beginning of the 1898-99 season Liverpool sold Tom Bradshaw but brought in several new players including Alex Raisbeck, Jack Cox, Sam Raybould, John Walker and Rab Howell. Despite the loss of George Allan, Liverpool finished in second place in the First Division. 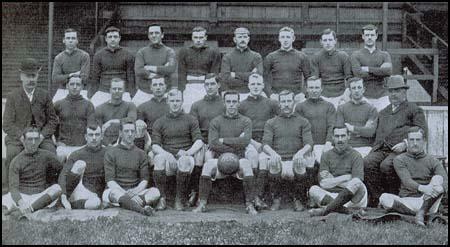 Liverpool won the First Division championship in 1900-01. The stars of the side included Sam Raybould, John Walker, John Robertson, Jack Cox, Alex Raisbeck, Rab Howell and William Dunlop. According to Tony Matthews (Who's Who of Liverpool): "Dunlop was the backbone of Liverpool's defence. A fine tackler and splendid in the air, he was also a clean kicker of the ball, always seeking to find a colleague rather than heaving his clearance 80 yards downfield in hope rather than judgement." The following season Sam Raybould set a new scoring record with 32 league goals. However, Liverpool could only finish in 11th place. He remained a regular goalscorer for the club until he suffered from injuries in the 1903-04 season. That season Liverpool was relegated. In 1904 Liverpool signed Ted Doig from Sunderland for a fee of £150. In his first season with the club he helped them gain promotion to the First Division of the Football League. Sam Raybould eventually regained his form and played an important role in Liverpool winning the First Division title in the 1905-06 season, when they beat runners-up, Preston North End, by four points. In May 1907 Raybould was sold to Sunderland. During his time at Liverpool he scored an impressive 127 goals in 224 appearances. Ted Doig played the last of his 51 games for the club at the age of 41. He was replaced by Sam Hardy who was purchased for £500 from Chesterfield Town. According to Tony Matthews (Who's Who of Liverpool): "He (Hardy) made goalkeeping look easy and would have been considered a world-class player in any era." 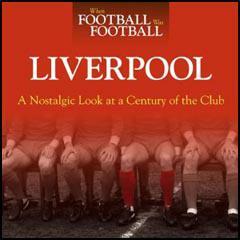 Liverpool finished 15th (1906-07), 8th (1907-08), 16th (1908-09), 2nd (1909-10), 13th (1910-11), 17th (1911-12) and 12th (1912-13). Liverpool had a good FA Cup run in the 1913-14 season beating Gillingham (2-0), West Ham United (5-1), Queen's Park Rangers (2-1) and Aston Villa (2-0) to reach the final against Burnley. The final took place at Crystal Palace and the Liverpool team included Ken Campbell, Tom Fairfoul, Tommy Miller, Jackie Sheldon and Bob Pursell. Liverpool lost the game 1-0. On 2nd April, 1915, Liverpool lost to Manchester United 2-0. Afterwards, bookmakers claimed that they had taken a great deal of money on the 7-1 odds offered on a 2-0 United victory. They suspected that the game had been fixed and pointed out that late in the game, Jackie Sheldon, had missed a penalty. The bookmakers decided not to pay out on the result and offered a £50 reward for information that would unmask the conspirators. The Sporting Chronicle newspaper took up the story and claimed that they discovered evidence that players on both sides had got together to concoct a 2-0 scoreline. The newspaper also argued that some of the players had large bets on the result. The Football League announced it would carry out its own investigation into the case. It published its report in December 1915. It concluded that "a considerable amount of money changed hands by betting on the match and... some of the players profited thereby." Tom Fairfoul, Tommy Miller, Jackie Sheldon and Bob Pursell were found guilty of this offence and were banned for playing professional football for life. The same sentence was imposed on three Manchester United players: Enoch West, Sandy Turnbull and Arthur Whalley. An eighth player, Laurence Cook, who played for Stockport County, was also convicted of being a member of the betting ring. As the biggest man who ever played football, I have naturally had a few stories told about me, and I should just like to say that some of them are stories.You may have heard that there was a very great rivalry between the old Liverpool centre forward Allan and myself, that prior to one match we breathed fire and slaughter at each other, that at last he made a rush at me as I was saving a shot, and that I dropped the ball, caught him by the middle, turned him clean over in a twinkling, and stood him on his head, giving him such a shock that he never played again. Well, the story is one which might be described as a "bit of each". In reality, Allan and I were quite good friends off the field. On it we were opponents, of course, and there's no doubt he was ready to give chaff for chaff with me. What actually happened on the occasion referred to was that Allan (a big strong chap, mind you) once bore down on me with all his weight when I was saving. I bent forward to protect myself, and Allan, striking my shoulder, flew right over me and fell heavily. He had a shaking up, I admit, but quite the worst thing about the whole business was that the referee gave a penalty against us and it cost Sheffield United the match. One of the subplots of that titanic semi-final series was the running battle between William Foulke and George Allan, the Liverpool inside right. Allan, a high-scoring, combative Glaswegian and Scottish international, was the latest in the succession of forwards who had openly opted for the (usually unrewarding) tactic of the intimidation of Foulke. There was little of the subtlety of a Bloomer or a Meredith in this bull-at-a-gate approach, and it was usually no problem to one who had been a student at the Blackwell Colliery soccer school of hard knocks. In the League game the previous October, however, there had occurred one of those incidents that has taken on legendary status over the years. It was at Anfield, and the Blades were winning 1-0 from a well-taken Bennett goal. In the second half Liverpool pressed, Foulke collected, and Allan ran at Foulke. What happened next probably took no more than a couple of seconds, and the Liverpool Daily Post's description was unequivocal: "Allan charged Foulke in the goahnouth, and the big man, losing his temper, seized him by the leg and turned him upside down." From the resultant penalty McCowie scored; then a late own-goal gave Liverpool the points. Almost before the crowd had dispersed at the end of the game the tale was growing in the telling. One version depicted the incident as the culmination of a fiery vendetta between the two players, with William catching Allan by the midriff, turning him over, and planting his head in the mud, giving him such a shock that he never played again.